Well, Shiketa I am involved in 3 different aspects of childcare. Currently I own and operate Abeka Academy which is a new childcare center we have been open for 8 months now. We service children ages 6 weeks to 5 years old for full-time and ages 5-12 years old for summer camp, before and afterschool care and night care. Our center carries an average of 120 children. Next, we offer a nanny and babysitting company-Kids Care Everywhere! This service is for parents who want a childcare provider in their home. And finally I am beginning my solo-entrepreneur business where I offer day-care coaching and childcare operations and management systems. To be honest my Dad inspired me. He started me in business at the age of 16. We opened our first business at that time. Then after seeing the freedom and independence and financial rewards that being a business owner offered, I thought about what I wanted to do. At the age of 21 my dad decided to invest in my skills and talents and asked me what I wanted to do. We entertained a beauty salon, clothing and shoe store, or a day-care. I asked if he would let me pray about it first. When I finished I was sure that day-care was what I was destined to do. I love-making a difference in the lives of children. Seeing the children learn, grow, and love is so innocent to me. The joy of working with children ensures my hope for a better community. After the passion came my skill set and knowledge, childcare was the only thing that I did right by instinct. But instinct could only take me so far so I started attending college courses and now I am a Certified Child Development Specialist. And until this day I am continuing my education in this career field. First, I want to secure a contract with the local school system where we can provide off site afterschool care. I want this in the works by August 2011. Next, I want to establish Abeka Academy as an accredited program. We will begin the process by September 2011. Third, Begin a childcare service for the Largest Hospital here in my town. My Dream Goal (5yrs) – To start another Abeka Academy in another state or at least another in another city. Then position Abeka Academy to become a franchise. My success is tips would be #1 Financial Management, # 2 Always invest money in your center and the people who work for you and #3 Stay educated. Read, join organizations, and remain teachable #4 NEVER STOP MARKETING YOUR BUSINESS! Get a day-care coach. If you are working from home, in a smaller center or a large center. You need a day-care coach. 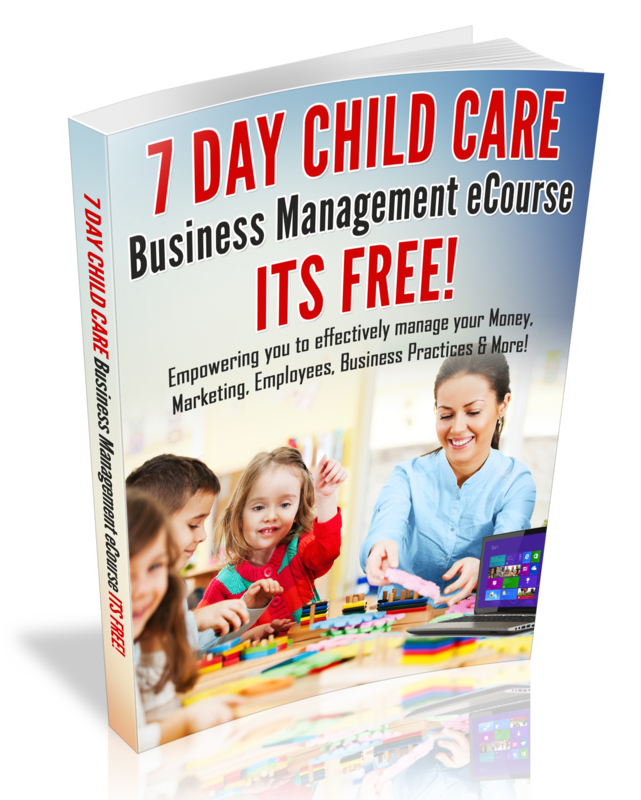 A day-care coach is someone who can walk you through areas in childcare that can boost your enrollment and income faster than you could if you did not have a day-care coach. Also a day-care coach can give you advice on how to spend your time and budget wiser or even help you set a budget. When I started my career 7 years ago I did not think along these lines. However now that I do, I opened Abeka Academy with more childcare knowledge and within 4 months my center was at 90% capacity! Wow! I can help day-care providers see the same results. So don’t start out spinning your wheels or going crazy. Get a day-care coach. If you would like to have a Day-Care Success Coach please feel free to contact me at 912-289-2725. Thanks Andrea for sharing your story and tips with other Child Care Business Owners. How has Andrea’s story inspired you?